Antonio Trujillo continued his stunning start to his Europa career by plundering a hat-trick in his sides 6-0 victory over Glacis United. A brace from Pedro Carrion & an own goal from Daniel Campos completed the rout. The first half got underway with Europa on the attack and nearly opened the scoring early on as Pedro Carrion capitalised on a Glacis defence but his shot was saved by Jose Rico Perez. Europa broke the deadlock fifteen minutes in, Antonio Trujillo’s long range thunderbolt flew straight into the top corner, giving Rico Perez no chance. Ten minutes later Europa doubled their lead, Jose Miguel ‘Joselinho’ did well to cut inside the area and his low cross was put into his own net by Glacis Utd defender Daniel Campos. Europa continued to dominate and nearly made it 3-0 before halftime, Antonio Trujillo smashed his free-kick onto the post and the rebound was cleared. Within three minutes of the second half restarting Europa made it 3-0, Pedro Carrion capitalised on a Rico Perez mistake and tapped his shot into an empty net. Three minutes later Europa made it 4-0, Joselinho’s cross found Trujillo at the back post to slot his shot away. Europa keeper Javi Munoz made his first save in the 65th minute keeping out a long range striker from German Cortes. With less than ten minutes remaining Europa made it 5-0, Ivan Tornay was played through on goal, his shot beat Rico Perez and was tapped in by Carrion. Near the end Glacis went down to 10 men as ex-Europa midfielder Leandro Pereyra was sent off for a rash challenge on Tornay, earning himself a second booking. Antonio Trujillo stepped up and floated his free-kick over the head of Jose Rico Perez from nearly half-pitch to make it 6-0. The game restarted and referee Glen Gilbert blew for full-time, this win sees Europa move into second while Glacis move to the bottom of the league. 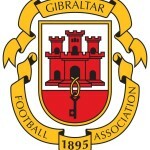 This entry was posted in Europa FC, Football, Glacis Utd FC, Men, Premier Division and tagged Europa FC, Football, Gibraltar, Glacis United, Premier Division. Bookmark the permalink.